Or maybe I am. Who knows? I need to drop at least twenty pounds but my body refuses to budge, maybe because those cravings for my old favorite addictions keep coming back, and every once in a great while, I give in. My body is apparently at that age where months can pass by without a morsel of baked goods crossing through my pie hole, and nothing changes. It’s too comfortable with where it is at. 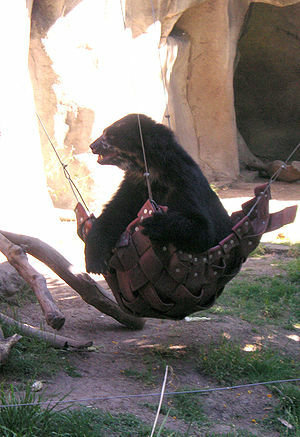 It’s as comfortable as a blueberry scone. 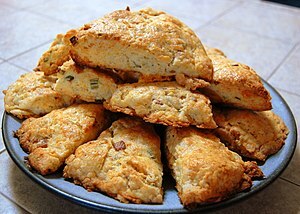 I ate so many in my younger days that I became what I ate and now my body is half scone, and the scone parts want more scones to mate with. If they took a scan of my body my liver would probably look like a blueberry or apricot scone soaking in a latte bath, my heart the shape of a pancake pumping maple syrup, and if you held a glob of chocolate chip cookie dough to my skin it would absorb it like a sponge, like attracting like. Luckily such foods make me ill, so they are easier to avoid. These days I try to be gluten free. But most gluten-free foods consist of processed crap so I reject those, too. They have to be natural; they have to be whole, containing all the ingredients Mother Nature gave them. A refined food is an unbalanced food, and people like me act as the canaries in the coal mines, reacting negatively to any processed concoction. Some – especially the young – may react less negatively, or not at all, and come to the belief that processed foods are fine as long as you don’t overdo it, and for the most part, everything in moderation applies. The body can handle the imbalance, up to a point. But unbalanced foods confuse the body. It isn’t designed to handle them. It wants to know where the other nutrients are, the ones that nature so brilliantly installed so it can process them in a balanced way. Without them, it has to send out couriers and catalysts to deal with the onslaught of these refined, isolated molecules, trying to make adjustments to keep us balanced. The young don’t realize (and neither do a lot of elderly), that eventually the body grows tired and we become what we eat. At a minimum, we’re not as balanced as we could be, and could even be on the edge of becoming ill, with one stressful event or gluttonous bout being that final push over the cliff and into the abyss, where it isn’t easy to come back from. First there’s that cliff to climb, but the pathway up isn’t clear, a journey I’ve known all too well. Knowing this should make avoiding such foods easy, and usually it is, but not always. Those old cravings refuse to die. They’re like a dormant virus waiting for the right conditions (boredom or stress or a celebration), to emerge from whatever crevices they’re hiding in, and the next thing you know they’re crying in your veins like hungry children demanding to be fed, and then a few cookies get slammed with little awareness. It isn’t long before the body wants more; the mind wants that serotonin high, the body keeps asking for the lost balance of nutrients, craving more of what you just ate, and before you know it, you lose focus, you struggle to find the energy you need, the couch calls, maybe your attitude is not what it should be and you become a little miffed at the world and all of its foolishness (the more severely unbalanced sign petitions to secede from the union), your mind never settles down, the volcano of thoughts never end, the days pass by mindlessly, you can’t remember what you ate that morning, a strange ache pops up out of nowhere and screams from a strange place – the middle of your thigh throbs and then the pain subsides as if it never happened, your eyes itch or your sinuses become sensitive – strange little sensations keep popping up, and you never tie all these little aches and pains and itches or skin rashes or whatever else pops up to the fuel feeding your body. It’s just a part of life, you think, a part of aging. Okay, so maybe I have a selfish agenda. I wish the food industrial complex would be annihilated and replaced with wholeness, because I’m too lazy to always prepare my meals in a balanced way, and I lack the discipline to consistently, and haughtily, hold my nose to all the unbalanced temptations around me. If the only choice I had was to eat whole foods, I wouldn’t need discipline. “I’m done with you,” I yell back, and turn to walk away, but look over my shoulder when he bellows again. He’s right, of course. Some days, I do want some. Tags: Balance, diet, food, green smoothies, health, humor, Nature, Thanksgiving, whole foods, writing. Bookmark the permalink. You know, Jim, as we get older our metabolism changes. It slows down and becomes incredibly stubborn. And sometimes it just won’t budge, no matter how much you poke at the damn thing. So, it’s not all your doing. Blame the Fates….I know they have something to do with it, and maybe the Wheel of Fortune too….I don’t know. Be thankful you still have that razor-sharp wit of yours. Thanks, Philly, and glad to see you popping back in for a visit. You’re right, of course, but I swear, I’m going to get my metabolism moving if it kills me. I suppose if I exercised a bit more it would help…:) Keep coming back for more! Best of luck! It seems like you’re quite determined. You have a very interesting blog here. I’m glad I found it… thanks to you for stopping to read my poems. thanks for making me laugh out loud!! Since I cracked my collarbone very badly nearly 5 years ago and had to give up my organic/holistic allotment and developed fibromyalgia, I have gone from being fat and fit (think stereotypical farmer’s wife, able to barrow bushels of potatoes, but not to run a marathon 😉 ) to being still a relentless optimistic creative but chronically fatigued and in pain. I’m sure not having my lovely homegrown veg at every meal makes a big difference, but i am experimenting with fruit smoothies with organic/biodynamic herbal teas to cut the high sugar content and swear by alfalfa sprouts. I am munching on my bowl of probiotic yogurt sprinkled with rolled oats and raisins and reading this piece makes me laugh out loud, thank you, but mostly because I had been so tempted to eat a cookie or three with my cuppa tea. Great post!! I nominated you for your good writing blog with The Versatile Blogger Award! Thanks! I don’t understand what these award nominations are all about – I see them around the blogosphere – but I appreciate it.